The flying 4K HDR camera with a Zoom that accompanies you every-time! June 6th – For more than 2 years in Paris, a team of passionate engineers have been designing ANAFI: a drone with new capabilities. For the development of this new-generation drone, Parrot has gone into a start-up mode by mobilizing the entire company and taking a new step for the drone industry. We took into account the users’ feedback to meet four essential needs: Image quality, flight performance, foldability and ease of use of the software and the piloting. A 4K HDR camera with a zoom, a 21MP sensor, a 3-axis stabilization system with, for the first time, a 180 ° vertically rotating camera and a lossless zoom up to x2, 8. 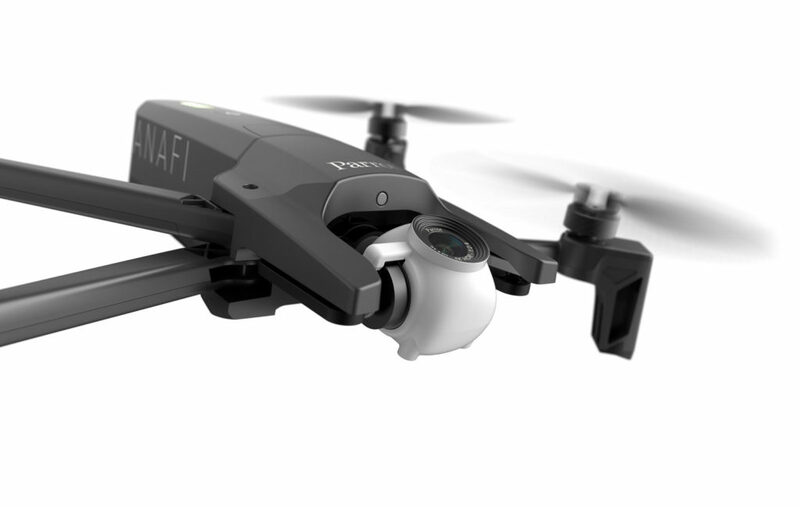 ANAFI is the drone you will always have at your fingertips and with you. At the beach, hiking, skiing, at a party with friends … Every moment of life, as simple as it is, becomes with ANAFI a unique moment, that you can capture a professional image from any point of single view. The observation of insects is at the origin of the ANAFI concept. We followed the anatomical structure of an insect. ANAFI is divided into 3: the head (the camera and the gimbal), the thorax (the electronics and the mechanics is gathered in the centre), the abdomen (it is the big battery on the scale of the drone) … It to the beauty of a robotic beetle … Folded, it is mysterious like an insect coiled in its chrysalis. This design principle has proven to be very functional. It is sturdy, lightweight, well balanced and folds very easily. The field of vision is very clear, the gimbal is protected. The electrical connections are short. Despite an exhausting development The Parrot engineers have surpassed themselves. They have identified the main challenges that the company has imposed to realize this new generation drone, half robot, half insect. 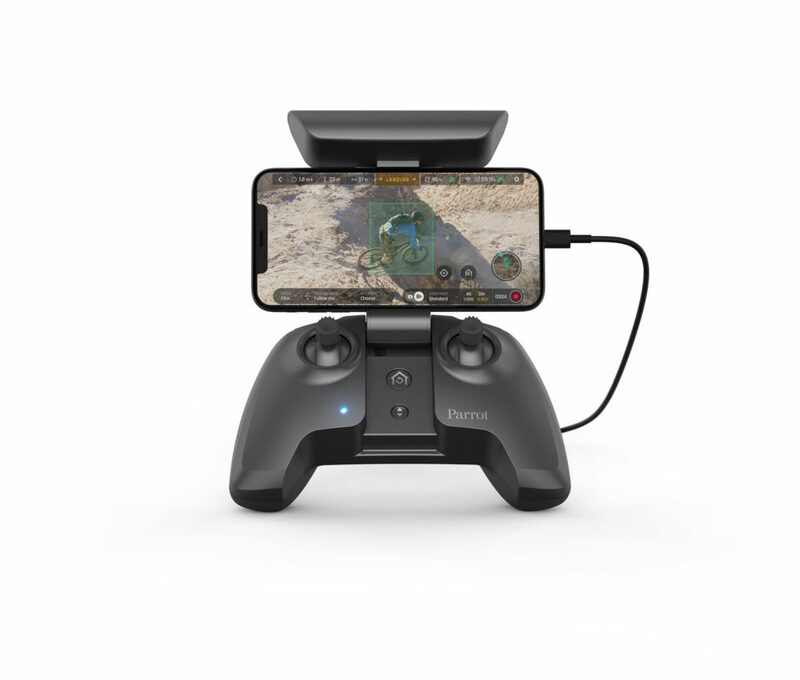 It is the same for its remote control, Parrot Skycontroller 3, which unfolds in 1 second and then, it automatically connects to ANAFI. Thanks to a unique assembly of carbon fibre filled with hollow glass microbeads, ANAFI weighs only 320 g (0.70 lb) without compromising its robustness and performance. ANAFI is the lightest drone in its category! Taking videos and aerial photos is the main use of drones. ANAFI is a flying camera that embeds the best software and hardware solutions of the moment. The optics specially developed for ANAFI, withstands temperatures from -10 ° C to + 40 ° C.
ANAFI films in 4K HDR and 4K Cinema (4096 x 2160). 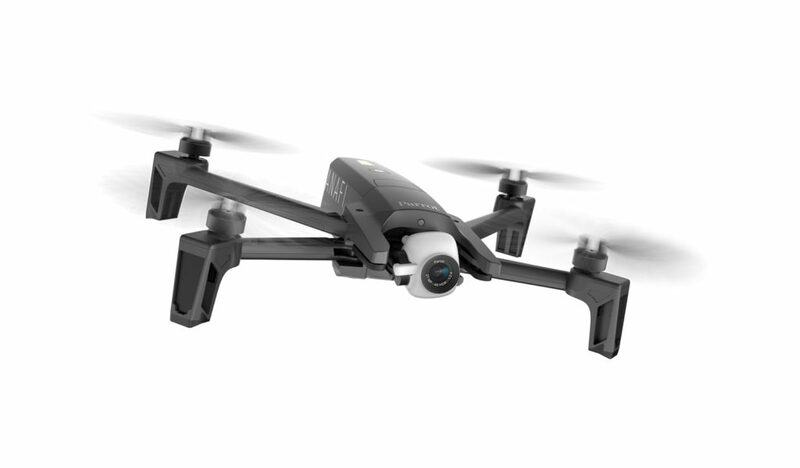 The implementation of HDR videos in 4K is a real technological feat, ANAFI is the only drone on the market to do this. ANAFI‘s camera is mounted on a “gimbal” stabilized on 3 axes that combines the best of mechanical and digital stabilizations. In addition, the digital stabilization provides + 5 ° to -5 ° EIS in the direction of flight allowing impeccably well-kept traveling’s when the drone is driving at high speed. ANAFI‘s battery is much more than just a battery! In addition, the ANAFI battery continuously monitors its charge level (regardless of the temperature and aging of the cell). During a flight, ANAFI evaluates the load level and returns to its take-off position. Last but not least, the ANAFI battery has a hibernation mode to protect its internal chemistry. To activate it, the user must fully charge it before the first flight. ANAFI constantly monitors its Wi-Fi environment in order to switch to another channel when the one it uses is too crowded. This guarantees optimal spectrum utilization performance and allows ANAFI to fly up to 4kms, for example in the mountains without obstacles or interference, keeping video transmission. The FreeFlight 6 application offers two manual control modes: Film and Sport. In sport mode, ANAFI achieves speed peaks up to 55km/h (33 mph) and withstands winds of 50km/h (31 mph)! 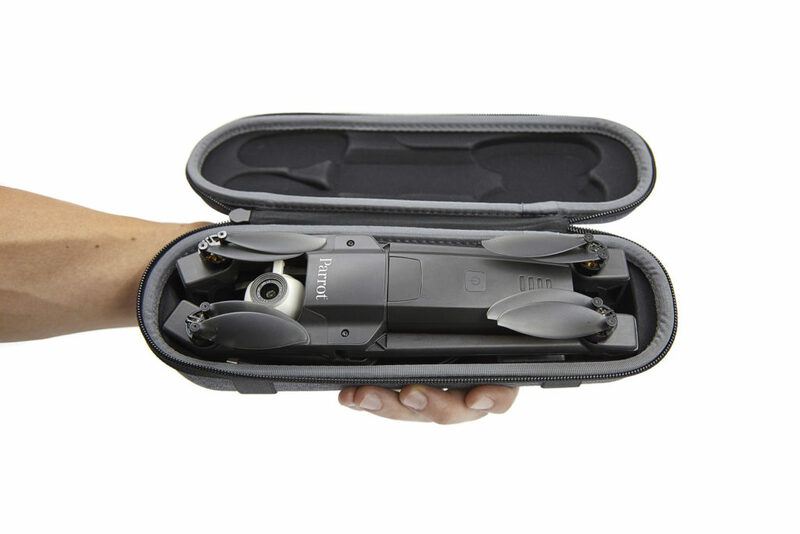 With ANAFI, Parrot once again disrupts the drone universe and redefines the standards with a new-generation drone, ultra-portable, equipped with a 4K HDR camera, super-efficient and easy to use!